A publicly traded marijuana company in Nevada has hired New Mexico’s former governor, Gary Johnson, as its chief executive officer. Cannabis Sativa Inc. hopes to manufacture marijuana oils and edible products for recreational and medical markets, including Colorado and Washington State. 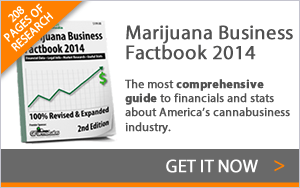 Johnson is perhaps the highest-profile former politician to enter the U.S. cannabis industry. He launched a presidential campaign in 2012 for the Libertarian Party and served as governor of New Mexico from 1995 until 2003 as a Republican. Johnson will be paid $1 a year and receive the remainder of his compensation as equity in the company. The company currently produces a cannabis lozenge and cannabis cream. I’m looking for heads up info on investment opportunities. By the time you posted New Mexico Gov appointed CEO of Cannabis Sativa the stock had doubled. Can you be a little more ahead of the game and give some notice. Or are you ill informed and have no real insight as to what the industry is doing. You only find out after it already is available to all the public. Most (if not all) of the MMJ publicly traded stocks are classic “pump and dump” penny stock scams. Find a broker with shares to short and sell these stocks after the “pump”–that’s how you profit. Hope all is well…where are you based currently since leaving Montana?